A number of different nations have stamped their mark on the islands of Cape Verde, most notably Portugal, Brazil and West Africa. These influences are reflected in the island cuisine, including drinks from Brazilian cocktails to German style beers. Here we share a few of our favourite drinks to look out for when visiting the archipelago. Benefiting from the volcanic soils, Fogo has produced wine for over 120 years and while the quality does vary, there are some very respectable wines available. Back in the 1870s a Frenchman, the Count of Montrond, first brought vines to the island. 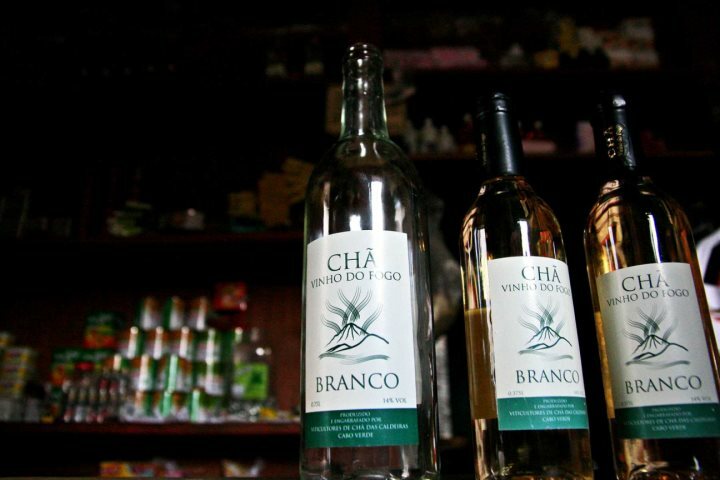 While escaping a scandal he was on his way to Brazil but settled in Fogo and began making the island’s first wines. Fogo is much closer to the equator then would be expected for a wine growing region but thanks to the altitude of the vineyards it is quite possible. And while the cooler temperatures at night slow the ripening, enough warmth is given off from the sun-exposed black soil to stop it being too cold from dusk to dawn. Today a number of European grape favourites are grown inside the island’s caldera on the fertile black, volcanic, mineral rich soil, including Cabernet Sauvignon, Muscat, Touriga Nacional and Tempranillo. They are mainly grown by small farmers who sell their grapes to the local wine co-operative. 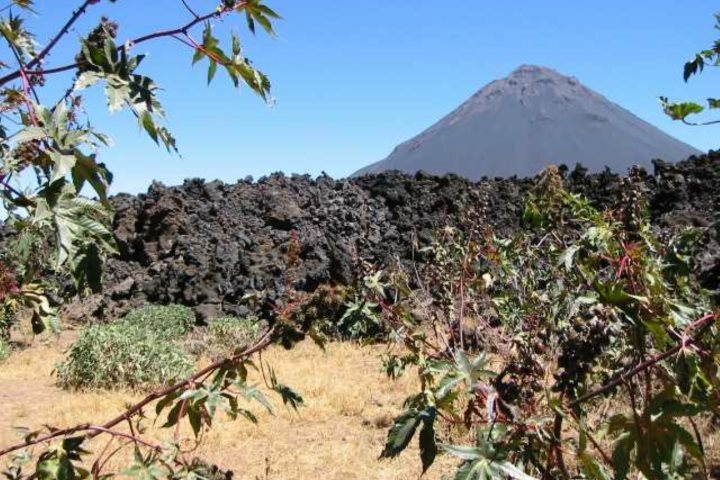 Of course growing grapes inside a volcano has its risks. The most recent eruption in 2014 destroyed many vineyards, but thankfully, the stored wine and the co-operative’s equipment were saved thanks to volunteers from local army units. As the lava flows were slow moving, everyone was evacuated in time and thankfully no lives were lost but they were unable to save the winery itself or the homes and vineyards of the village of Cha das Caldeiras, which was completely destroyed. Luckily not all the vines were destroyed and the resilient inhabitants are determined to re-establish their wine industry. There is another legacy left behind by the Count of Montrond to the inhabitants of Cha das Caldeiras, namely his blue eyes and blonde hair. Coffee has been grown on Fogo for over 300 years, long before the first vines ever appeared on the island but a lack of investment and knowledge lead to its decline until a supplier, Trabocca, saw the potential of Fogo coffee, with its ‘sweetness and great body’ and invested in the producing of a speciality green coffee, Fogo Coffee Spirit. Not everywhere sells it but if you get the chance do try a local Fogo coffee. A strong rum-like drink made from sugar cane which can be unaged (white) or aged (gold). Sugar cane was originally brought to Cape Verde from the Caribbean and was cultivated by slaves as a cash crop for export. The word 'grogue' is from the English grog used by the Royal Navy. Cape Verdean Caipirinha is a Brazilian inspired cocktail made with grogue (called Cachaça in Brazil), sugar, crushed ice & limes. A popular drink due to its sweet refreshing taste. 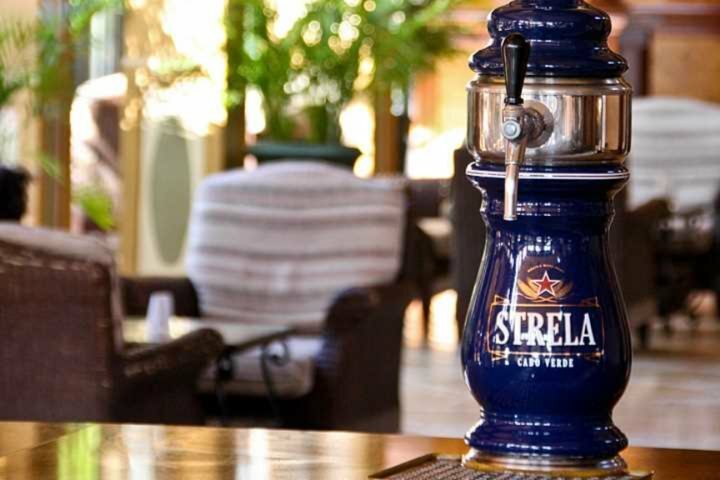 Brewed by CERIS in Praia on Santiago, the local beer Strela is a fizzy, sweet pale lager. Also look out for the malt liquor Strela Ego, the Pilsner style beer, Strela Kriola and the dunkel (dark German style beer), Strela Preta. Learn more about the food and drink of Cape Verde by visiting our dedicated Guide page.